When taking the stage, it’s so easy to be absorbed in what we’re about to say, or in centering ourselves to alleviate fear, we forget to focus on those who will be listening to us. How do we give love to our audiences? Prema Lee Gurreri suggests deploying a love bomb! Instead of waiting to see if the audience loves you, become love in action by feeling gratitude for the people who have shown up to hear YOU. 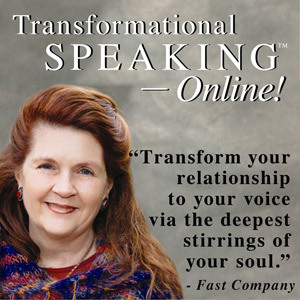 Energetically, what are you communicating when you take the stage? Have you taken the time to feel your appreciation for the opportunity you’ve been given to influence others through your words? Drink it in, feel the love, let it expand within you, lob your love bomb, and imagine waves of love going out in all directions from your heart to theirs. Try it next time you speak and let me know what happens. In fact, with Valentine’s Day coming up, why not practice being a love bomb (or balm) every day. This video of Prema demonstrates what that looks like! 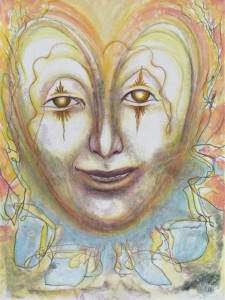 Note about the drawing: Last fall I gave myself the gift of a Soul Portrait session with Deborah Koff Chapin, whose Soul Cards may be familiar to you. She worked silently in my presence for a few hours and produced 18 works of art in her unique touch drawing style. The one on the right reminds me of my desire to see with eyes of love. I’ll use it as a touchstone for speaking, and I’m also going to put it in my car to see if I can stop sending half a peace sign to annoying drivers. Whet a magic powerful message. I recognize that I do this in my own way and I want to expand on it. I discovered Ho’oponopono some time ago & have used it with myself in front of audiences & I will build upon it with the wonderful message here. I am in Perth, Australia, & have found you through my friend & colleague, John Thompson, who attended your program in 2013. I have seen amazing changes in his presentation style and I look forward to experiencing your program some time in the near future. 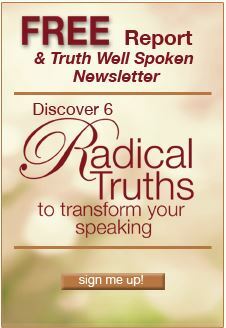 My love & gratitude to you for the gifts I am receiving in just reading your website. Caroline, good to meet you as a result of this blog and our mutual friend John Thompson! 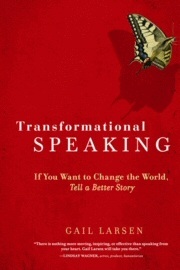 So happy to hear that he has moved more fully into his speaker work as a result of Transformational Speaking. The Ho’oponono work is so healing for all, and I look forward to welcoming you to Santa Fe when the time is right. Great Blessings.